Depending on how fancy you want to get, with the assembly, this dish takes no longer than 15 minutes to throw together, but me being the perfectionist that I am, it probably took a good 20 to 25 minutes, as I wanted the perfect ratio of berries to cake showing through the trifle dish. 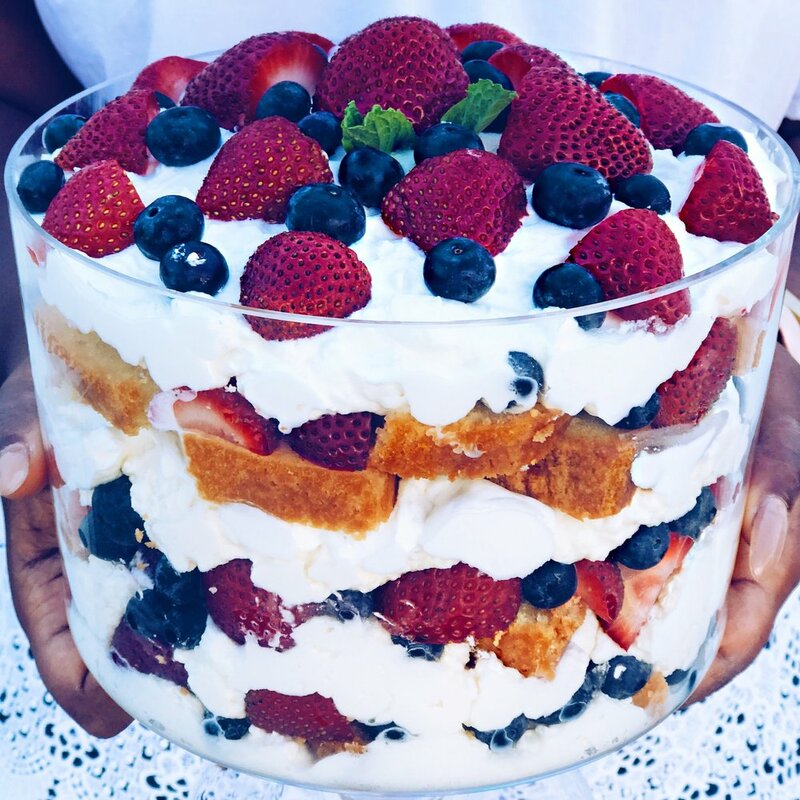 So if you're in a pinch and you need a go-to dish for your next event, I suggest this mixed berry trifle, for the win! PS. This was gone in all of 10 minutes so I'm sure your friends will love it too! Using a hand mixer, or stand mixer, with the whisk attachment, beat heavy cream, powdered sugar, vanilla, and lemon extract until soft peaks form. In a large trifle dish, layer whipped cream, cake, and berries, in that order, and repeat until you reach the top of the dish. Finish off by piling the extra berries on top!